St. John's church was built in 1816, and was consecrated by the Bishop of Chester on 8 January 1817. 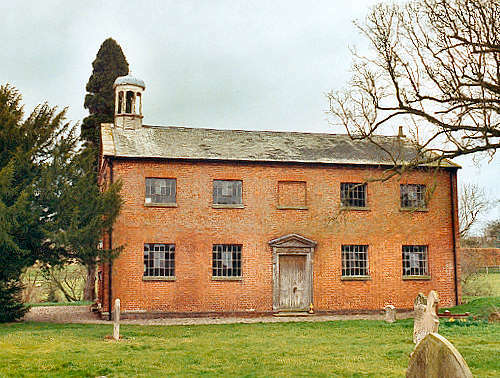 The ecclesiastical parish of Threapwood was formed in 1817, from parts of the parishes of Worthenbury, in the former detached part of historic Flintshire, and Malpas, in Cheshire, England. The parish was initially in the diocese of Chester, but was transferred to the diocese of St. Asaph, by an Order in Council, on 30 July 1849. By order of the Ecclesiastical Commissioners, it was transferred back to the diocese of Chester on 22 April 1920, shortly after the disestablishment of the Church in Wales. For family history information about the church and parish, visit the GenUKI Threapwood page.